LOVELAND, Ohio - Nov. 22, 2016 - The military-to-civilian recruitment firm RecruitMilitary will produce a Veteran Career Fair at the Lucas Oil Stadium on Thursday, December 8, 2016 that will run from 11 a.m. until 3 p.m. In addition, DeVry University will present a 10:00 a.m. seminar: "Move in the Right Direction: Putting Your Career Goals into Action." During this session, veterans will acquire the skills needed to create a career vision and execute specific goals in their personal and professional lives. RecruitMilitary job fairs maintain a track record of helping veterans find meaningful employment," said President Peter Gudmundsson. 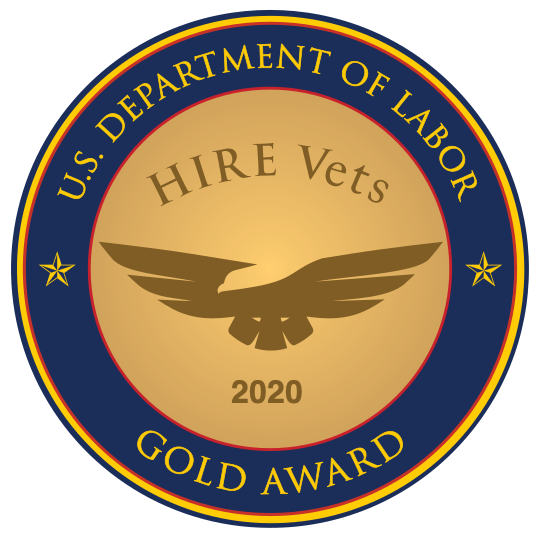 "Just last year, 56.3% of veteran job seekers expected to secure an interview as a result of their participation in a RecruitMilitary job fair and employers were expected to extend as many as 38,700 interviews and more than 12,000 job offers." In July of 2016, the RecruitMilitary Indianapolis event connected more than 110 veteran job seekers with 53 exhibitors, including CVS Health, Monarch Beverage and PNC Bank. RecruitMilitary has produced veteran job fairs since 2006, and has held 13 events in Indianapolis, drawing 3,503 attendees and 470 exhibitors. The company has produced more than 814 events in 65 cities across the country. Among those companies attending the upcoming Indianapolis event are: Boston Scientific Corporation, Eli Lilly and Company, Lockheed Martin Corporation, PNC Bank, State Farm Insurance, Sysco Foods, Ulta, Wabash National Corporation, Airstreams Renewables, Inc., Aviation Institute of Maintenance, Bell American Group, CEDIA, City of Dayton Police and Fire Dept., CliftonlarsonAllen LLP, Crew Carwash, Deem, LLC, Department of Veteran Affairs, DeVry University, Farmers Insurance, Federal Home Loan Bank of Indianapolis, Garda, GATX Corporation, GE Aviation, GENCO - A FedEx Co., Heavy Construction Academy, Heavy Equipment College of Georgia, Indiana University, Love's Travel Stops, MacAllister Machinery Co Inc, MD Logistics, Merendino Cemetery Care, MyComputerCareer, New Horizons, One Solution Logistics, OneAmerica Financial Partners, Inc., Ryan Fireprotection, Staff Management/SMX, The Art Institutes, The Entrepreneur's Source, University of Notre Dame,Veteran Franchise Center and Xavier University.